Glaeser and Rich Blaser, CEO of Infinite Energy, are behind these plans for San Felasco Tech City. The plans for this high tech community involve “solar trees” which will provide green energy to power this unique city. Plans for a pedestrian sidewalk bridge that will cross over 441 connecting the 55 acre community are part of a competition for UF architecture students as well as the plans for the solar trees and observation tower that will reach 150 feet tall. Businesses are already getting dibs on the space that will be provided for offices and retail. The community will also include single family homes and other types of dwelling like tiny homes and treehouses with amenities such as a clubhouse and playground. There are additional plans for onsite coffee and sandwich shops. Both the county and city of Alachua are excited for the jobs and housing that will be provided for this project in our vastly growing area as well as what the tourists who come from all over will do for our local economy. 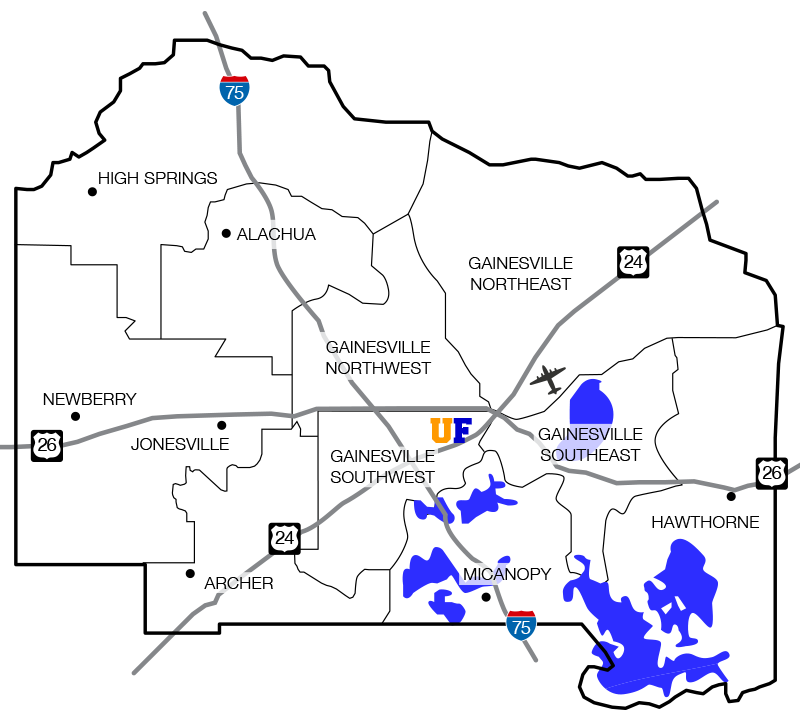 Stay tuned for more updates on what’s new and coming in Alachua County!